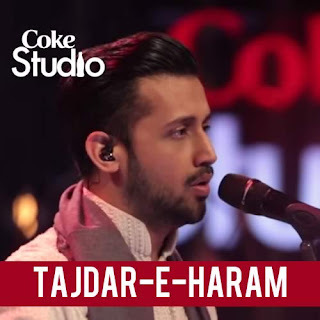 Tajdar-e-Haram Lyrics song sung by Atif Aslam for Coke Studio Pakistan, A tribute to Sabri Brothers. The song is composed by Maqbool Ahmed Sabri. If we return empty-handed from your door? How long will I remain in this state of unconsciousness? Come, devoted lovers, let's go to Medina! Come, let's go to Medina! All the wine-cups that are empty will become filled! Our distress is severe, master, to whom should we turn?